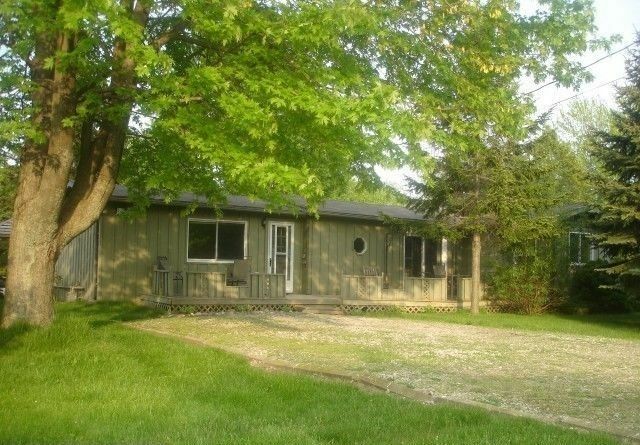 GreenLodge Cottage is a second row cottage rental off Lake Huron in the community of Bayview, just south of St Joseph (about 8 minutes north of Grand Bend), with private community beach access. It is just around the corner from the Bayview golf course and the Sunshine restaurant. High-speed wireless internet, nice furnishings, large treed-in and private backyard, firepit, flat screen TV, DVD player, movies, games, BBQ, loaded kitchen with coffee maker/microwave/toaster, dishes/cutlery, etc. Cable TV and high speed internet during high season. Pets are not allowed inside - allergens/dander etc. Available for rent weekly Friday-Friday.